Many dogs – in particular – are given a rough ride early on. Sure, most of them end up in the right place sooner or later, but that’s usually only thanks to kind-hearted people who know they deserve better. We like to term these people “animal lovers”. Luckily, there are a great number of rescue organizations that do their best to provide help to as many animals as possible. If it wasn’t for these people, who are mainly volunteers working without getting paid but simply because of their love for animals, many strays and neglected pets would end up wandering the streets and even euthanized. This is the story of Cesar, a tiny Yorkshire who spent most, if not all his life in a dark, filthy box at a puppy mill. His movement was restricted to only a few meters and we are devastated to hear that he had never had the chance to run around, waging his tail. Even though there isn’t enough information of Cesar’s life, it’s not hard to see that he didn’t have it easy. 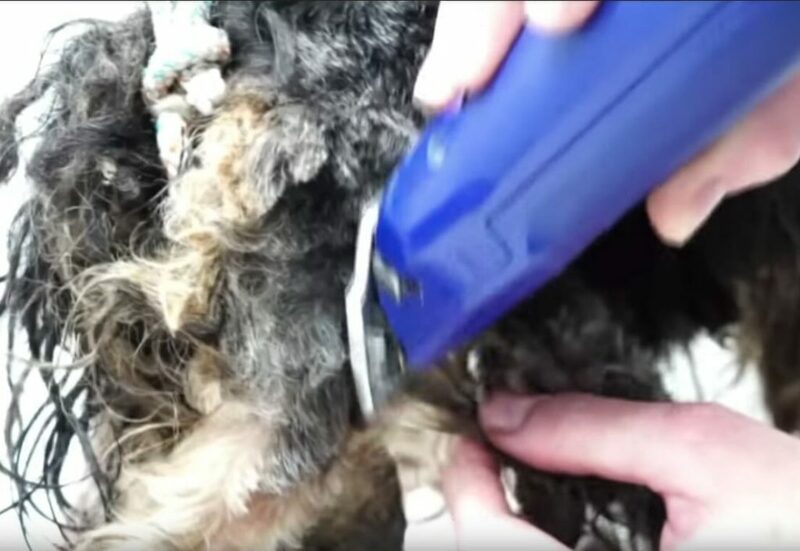 His appearance was enough evidence that the poor dog suffered and was severely neglected. Luckily, local authorities were alerted of Cesar’s situation and they managed to rescue him. Once the dog was in safe hands, they took him to the vet, who couldn’t believe the dog could look that bad. His fur was in a desperate condition. 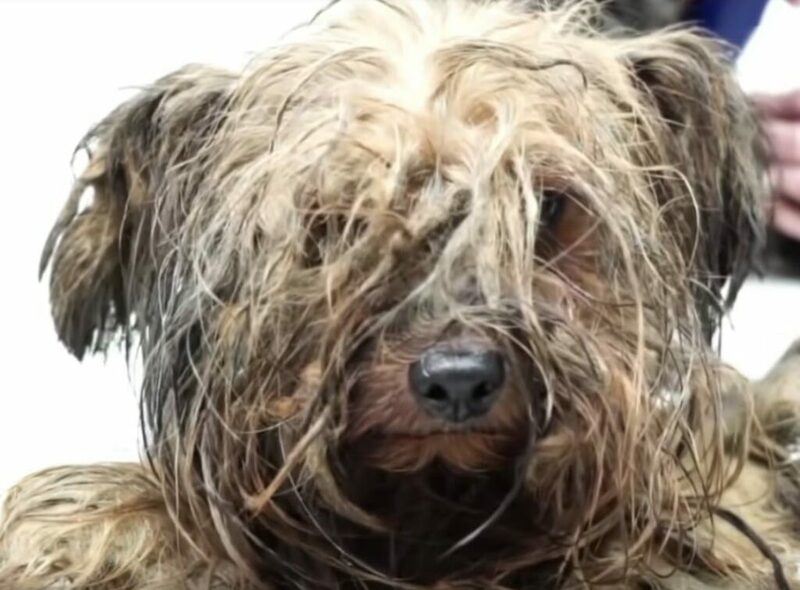 Covered in dirty, matted hair for so long, and his body riddled with infection, he had to be treated with lots of medications. But today, after everything he’d been through, Cesar is a happy dog that found a forever home. A lovely couple who heard his story were determined to welcome him in their home and give him all the love he deserved. As for the rescuers who gave him his freedom, you are the best, and we can never thank you enough for everything you do for the animals in need.